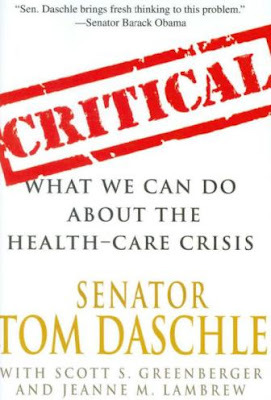 The centerpiece of Daschle's proposals is the creation of a Federal Health Board, a "... quasi-governmental organization, It would have a board of governors consisting of clinicians, health benefit managers, economists, researchers... chosen based on their stature , knowledge, and experience.... the president would appoint them to Senate-confirmed ten-year terms... would also have regional boards...", etc., etc. 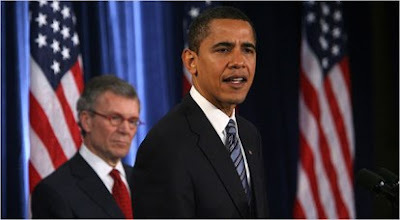 ... (This FHB) would oversee insurers, promote "high value" medical care, align incentives with high-quality care, and also "rationalize" the U.S. health-care infrastructure." Hello, Krugman, Clemons, Marshall, anyone... Waiting, still waiting... Cue chirping of crickets!